The objects that need to be cleaned after soldering are mainly the residues left on PCBs. According to the chemical properties, the leftover can be classified into three categories: water-soluble polar residues, water-insoluble non-polar residues and water-soluble but non-polar residues that can't be changed into ionic organic compound. These contaminants are considered as the key cause leading to the change or even failure of PCB performance. Therefore, it's extremely necessary to completely clean the residues. Additionally, PCBs are developing towards high-densification and fine-spacing, PCB cleaning is becoming especially important. Flux residue accounts for the biggest part in low quantity PCB manufacturing, which is why the flux residue must be considered first when considering a type of cleaning craft. According to the chemical properties, fluxes can be classified into four categories by J-STD-004: rosin, resin, organic and inorganic, each of which is then classified according to flux/flux residue activity level and weight of halide. This also demonstrates from the side fact that all the fluxes in the world are capable of eliminating oxide, increasing the solder invasive capability. In the process of PCB manufacturing, fluxes are used in wave soldering, reflow soldering and manual welding and it's best to choose only one type of flux. 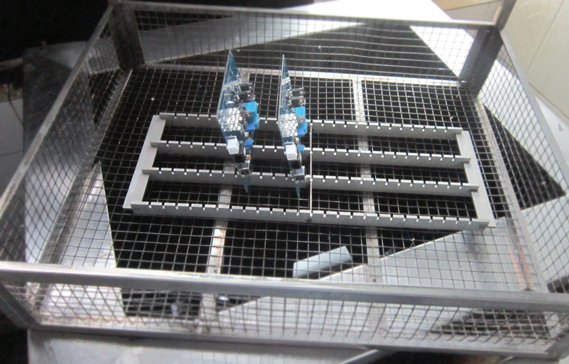 For the cleaning of the whole PCB, it's just a process of eliminating only one type of flux. If many types of fluxes are picked up, the compatibility of these fluxes will bring difficulties to cleaning since these fluxes have complicated characteristics that result in the complex of the combination of them. Three types of cleaning craft are ordinarily used in PCB cleaning: solvent cleaning, half-water cleaning and water cleaning. The solvent cleaning refers to the process in which solvent-type medium is used to clean PCBs. In this process, drying is carried out in independent equipment. Half-water cleaning refers to the process in which PCBs are cleaned by solvent and the organic solvent is cleaned off from the PCB by water in order to eliminate the flux and other contaminants on PCBs. Water cleaning refers to the process in which PCBs are cleaned only by water. According to the characteristics of equipment and products, suitable cleaning craft should be picked up so that the PCB reliability will be greatly increased. According to the type of flux, cleaning solvent should be picked up compatible with the type of flux leftover. There are different types of cleaning solvents and the cleaning solvent components. Based on the regulations of Japan Industry Cleaning Committee (JICC), cleaning solvents are classified with the rinse process as a standard. That's why cleaning solvents are classified into two types: water solubility cleaning solvent and non-water solubility cleaning solvent. The cleaning solvent with water used in the rinse process is called water solubility and without water used is called non-water solubility. Nowadays cleaning equipments are mainly classified into batch type and cellular type while cleaning methods include ultrasonic, spray, immersion, jet, bubbles etc. Ordinary cleaning methods are carried out through spray or vapor phase, with some mechanical cleaning methods as supplement such as agitations, rotations etc. or insulation resistance > 2x102Ω.